« SMS receives $1650.00 in Living The Promise Grant! 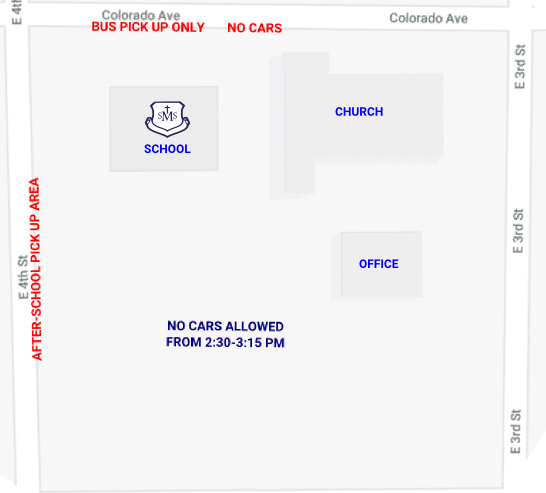 The bus will pick up students in the front of the school on Colorado Ave.
Parents picking up children should park along East 4th street and students will be dismissed from the back door of the school. The school parking lot/playground will no longer be accessible by car before or after school.